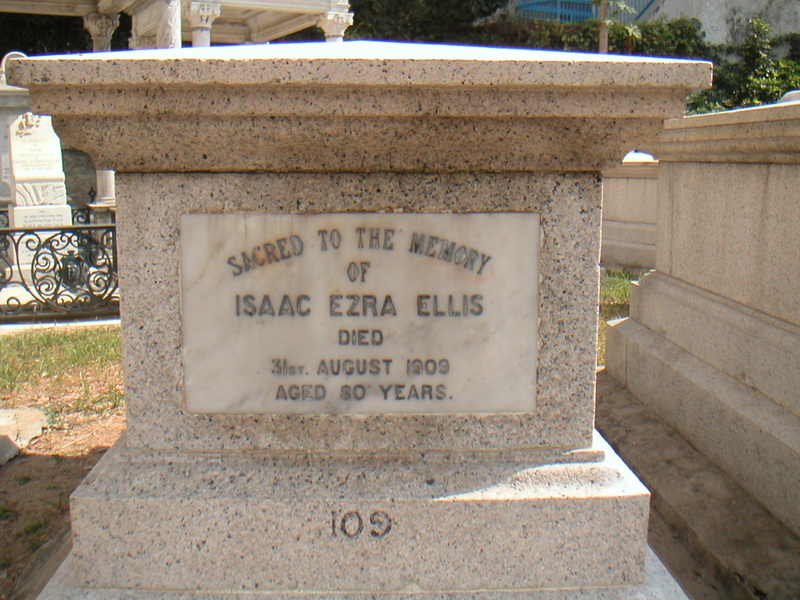 Inscription (Eng) SACRED TO THE MEMORY OF ISAAC EZRA ELLIS DIED 31ST. AUGUST 1909 AGED 80 YEARS. Historical Arrived in HK in 1867. He worked for E. D. Sassoon & Co. Married Hebe in 1848. According to Ellis family research, he moved from Baghdad to Bombay where he worked for Moses & Co. there. 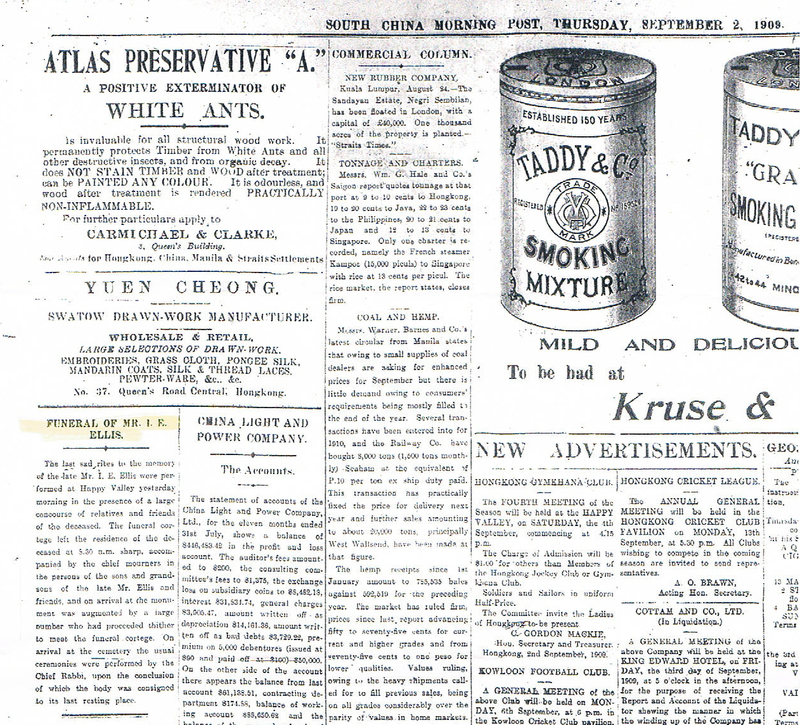 He was then sent to Shanghai but he returned to India five years later due to ill health. Three years later he arrived in Hong Kong and joined E. D. Sassoon & Co.